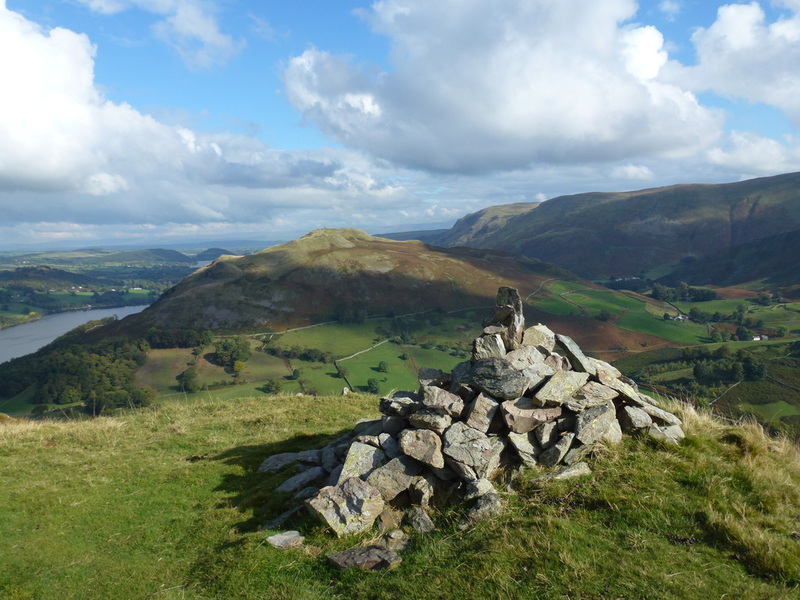 Patterdale (Charge) - Grid Ref NY397159. 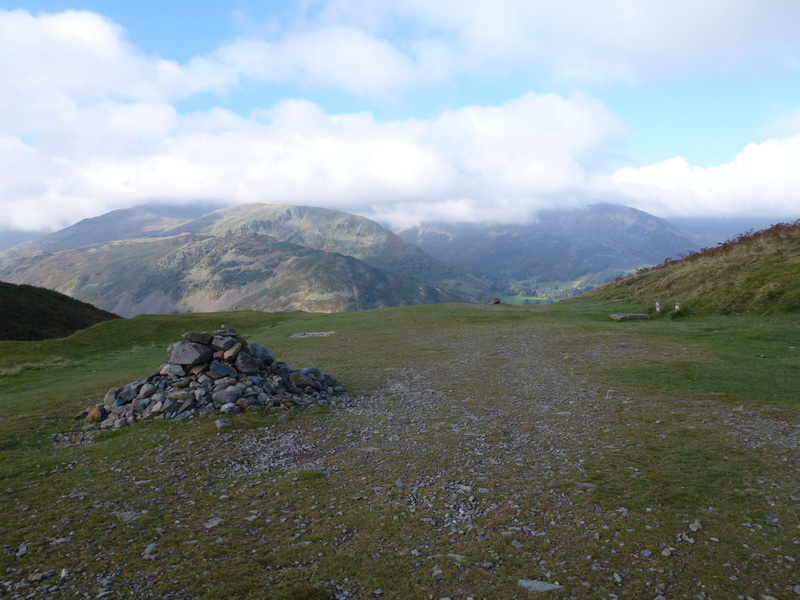 There are free places to be had near the Post Office. 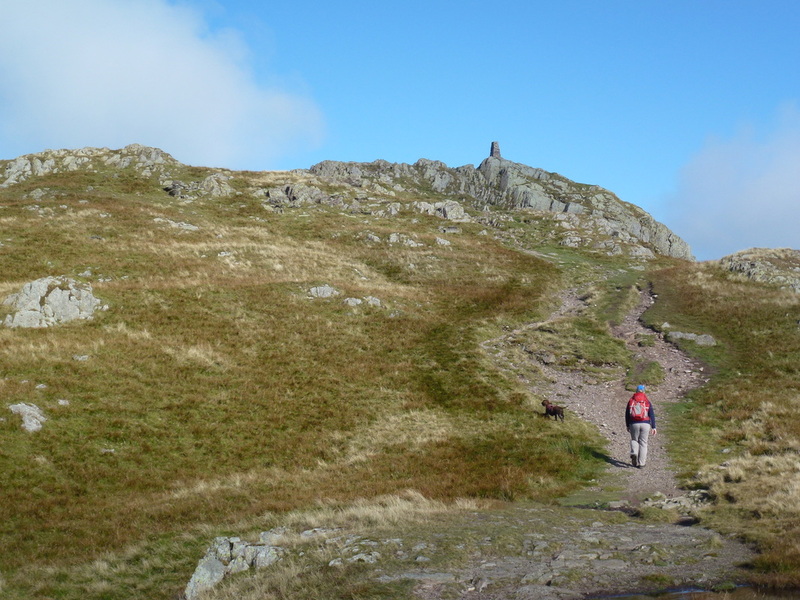 We first walked this route in 2005 and it was our inaugural Wainwright. 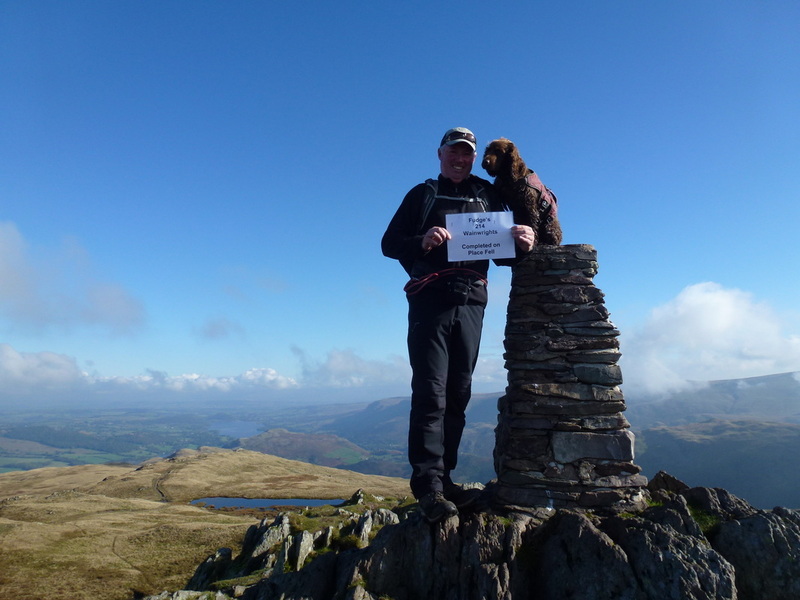 How apt then that it should be our dog Fudge's final Wainwright having climbed his first (Souther Fell) 2 and a half years ago. 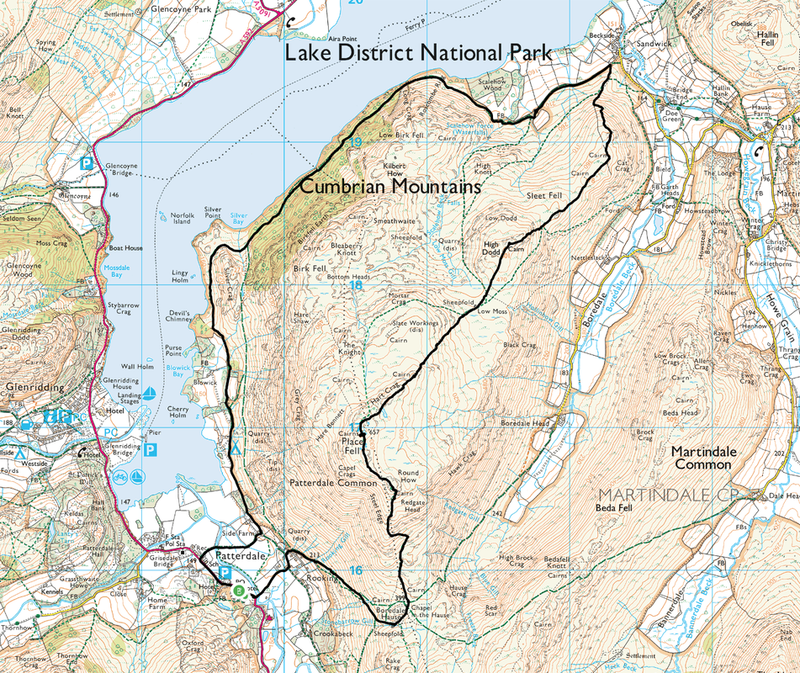 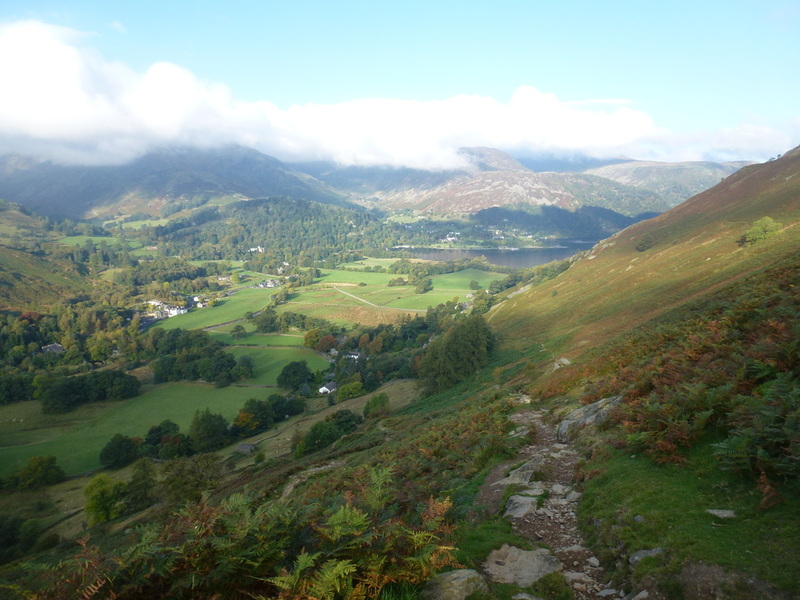 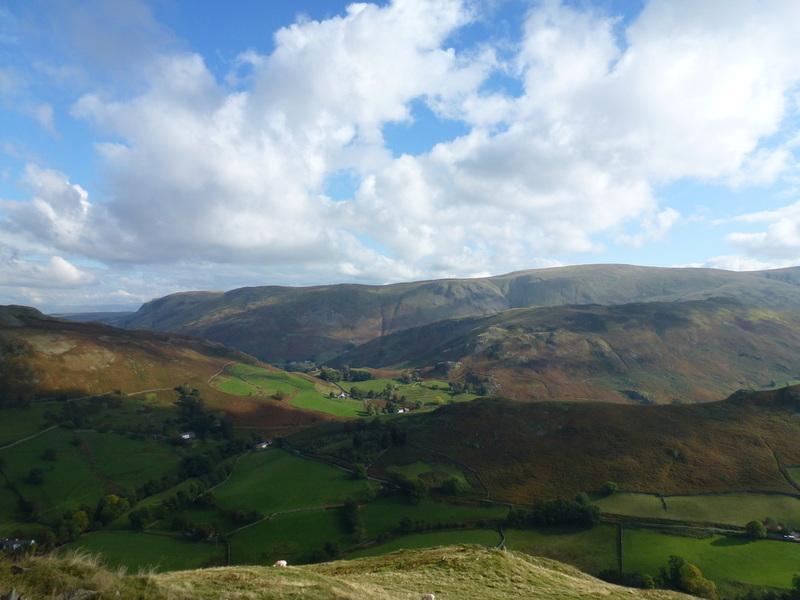 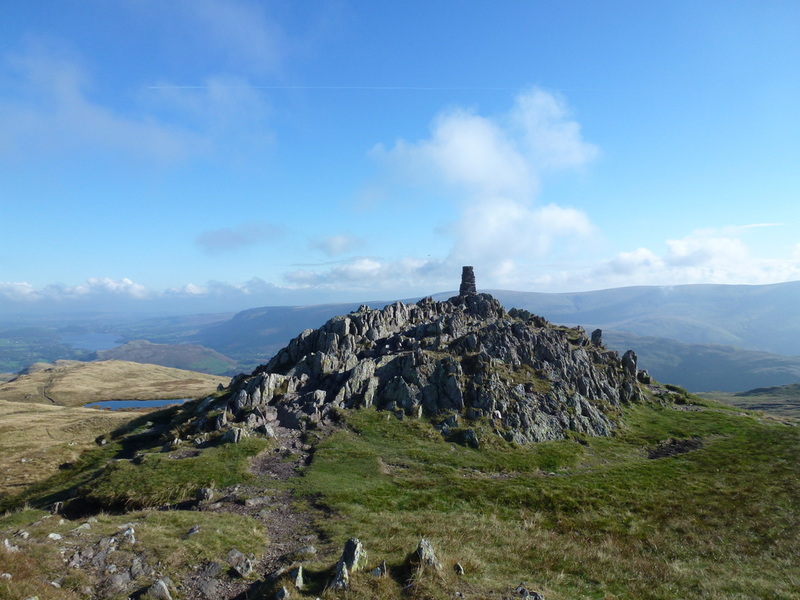 Today's walk is one of our favourites and is probably the most popular route up on to Place Fell. 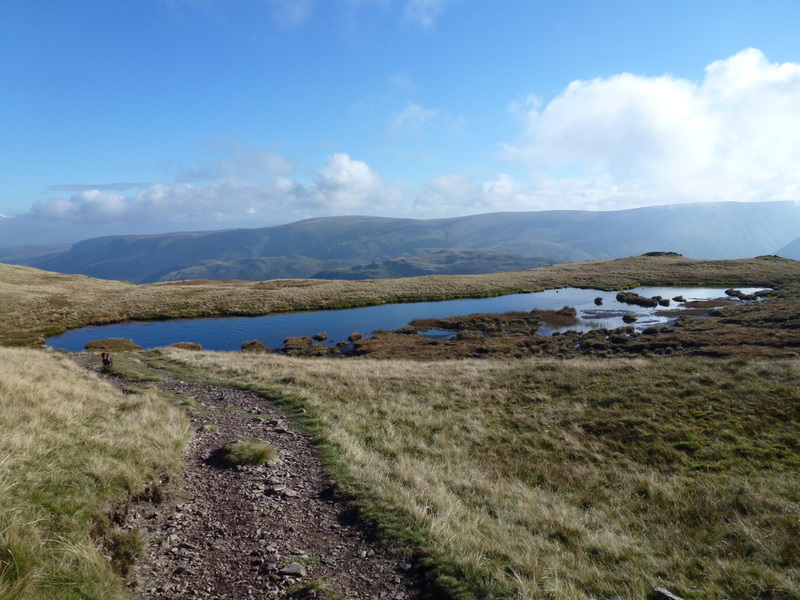 The weather was pretty good today as on setting off there was a fair bit of low cloud on the tops but soon cleared to give us good views for the rest of the day. 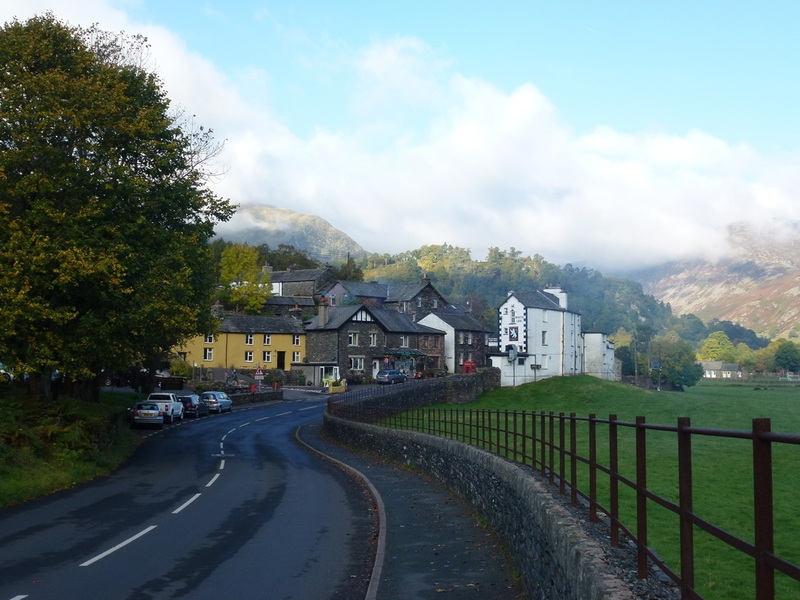 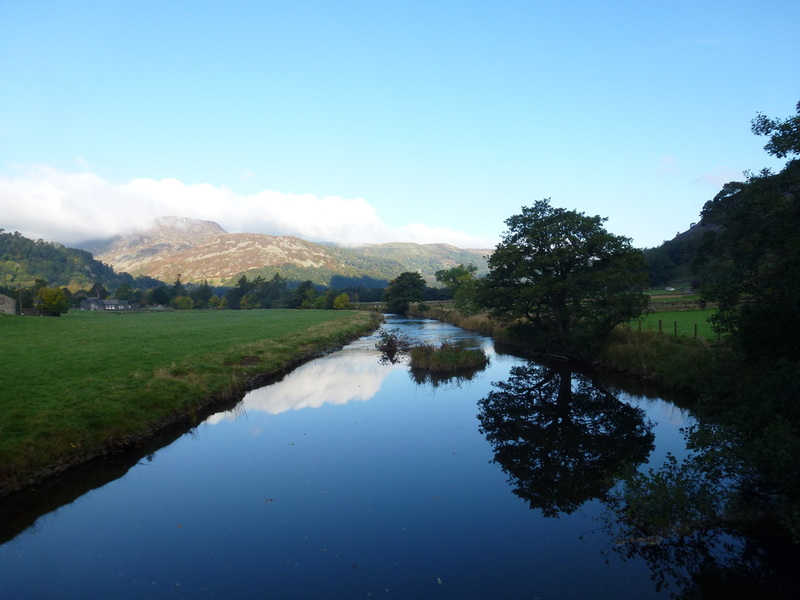 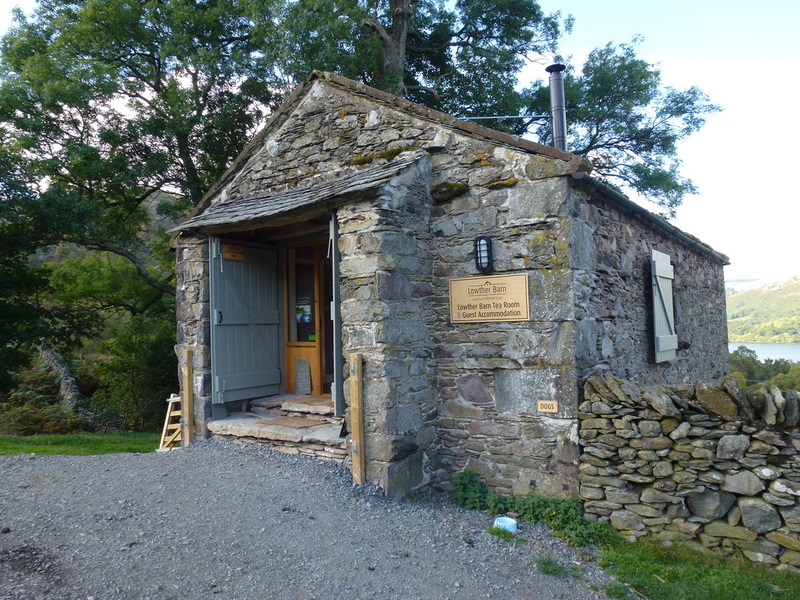 The walk starts from the lovely village of Patterdale where there is free parking near the Post Office but you need to be early - failing that there are a few Car Parks in the village. 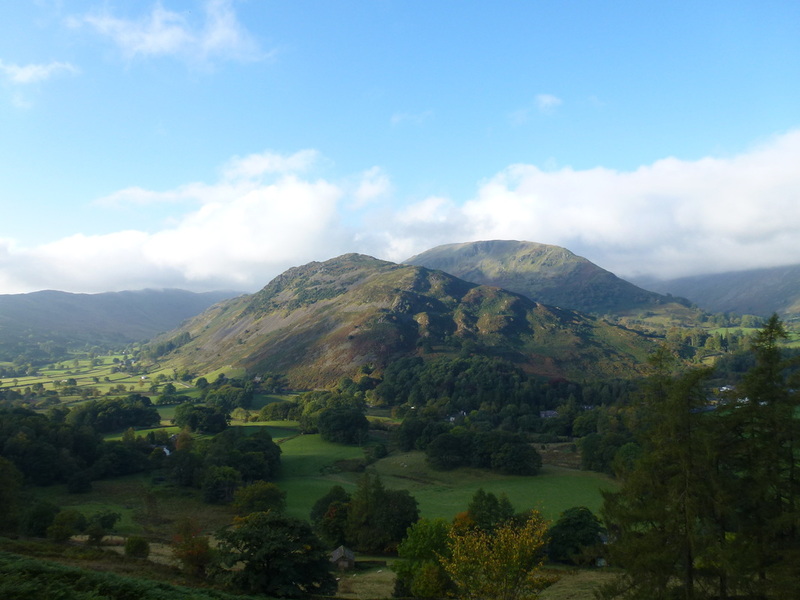 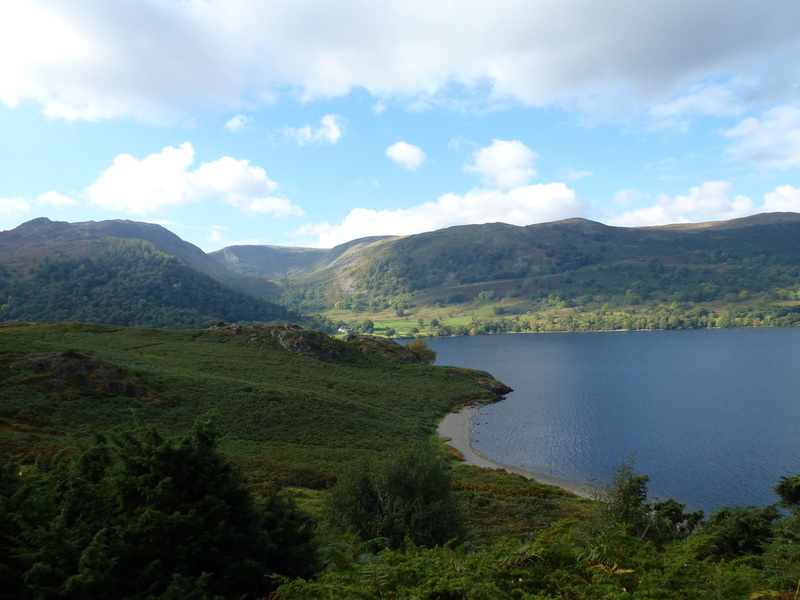 Leaving Patterdale to the South, the route heads to Rooking over Goldrill Beck before joining the popular and delightful climb up to Boredale Hause which gives superb views over towards the Helvellyn Range and down to Brothers Water. 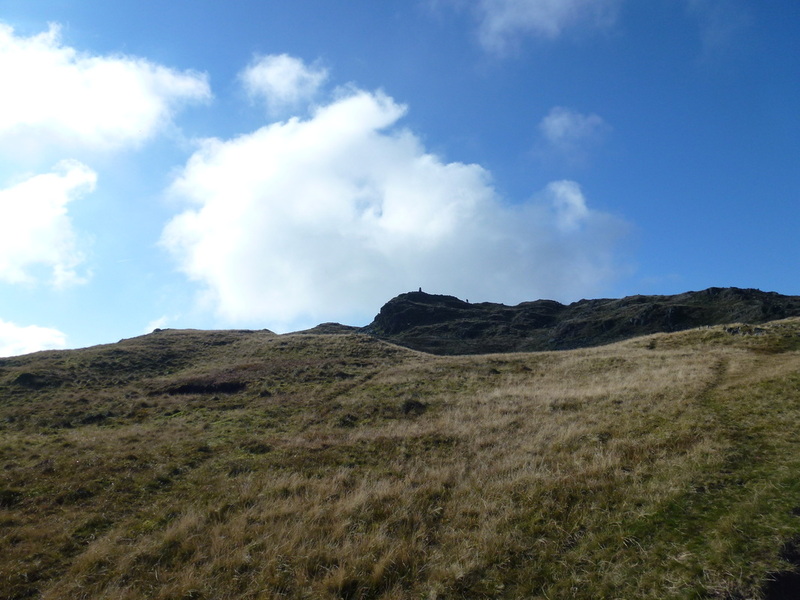 Reaching the Hause, there are a myriad of paths therefore make sure to take the one to the left and head north - almost going back on yourself. 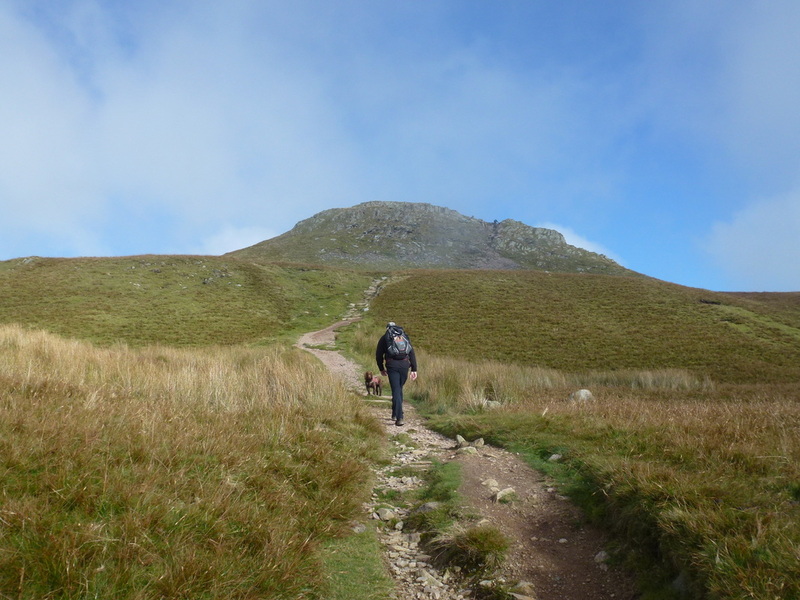 The path then rises gently until below Round How where it steepens as it turns west to reach the summit. 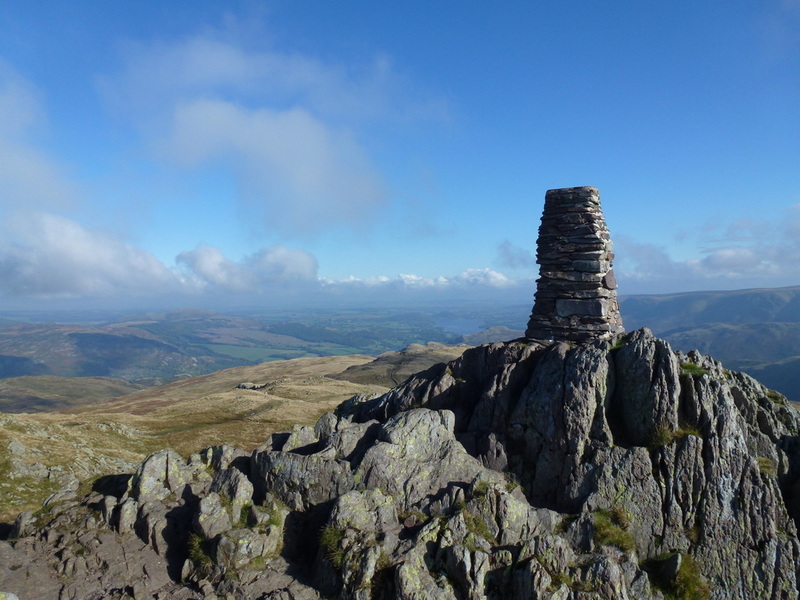 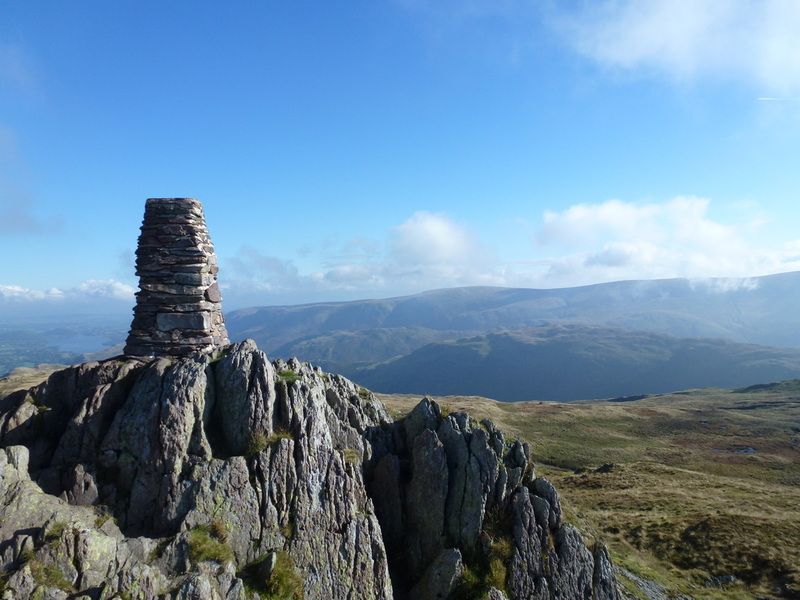 From Round How the summit of Place Fell is now in sight and it is a simple and gradual climb to reach the rocky top which houses both a small cairn and Trig Point. 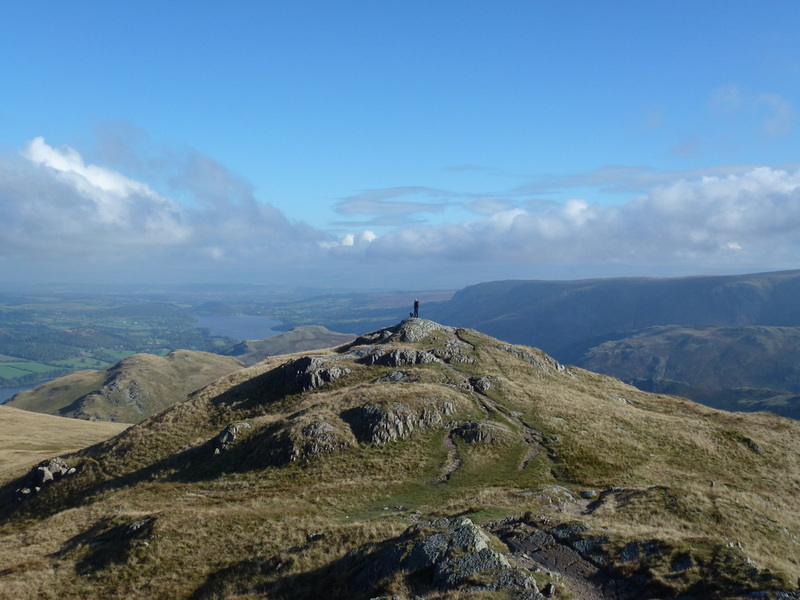 There are some fantastic views to be had here - and with today's visibility we were able to enjoy a superb 360-degree Lakeland panorama. 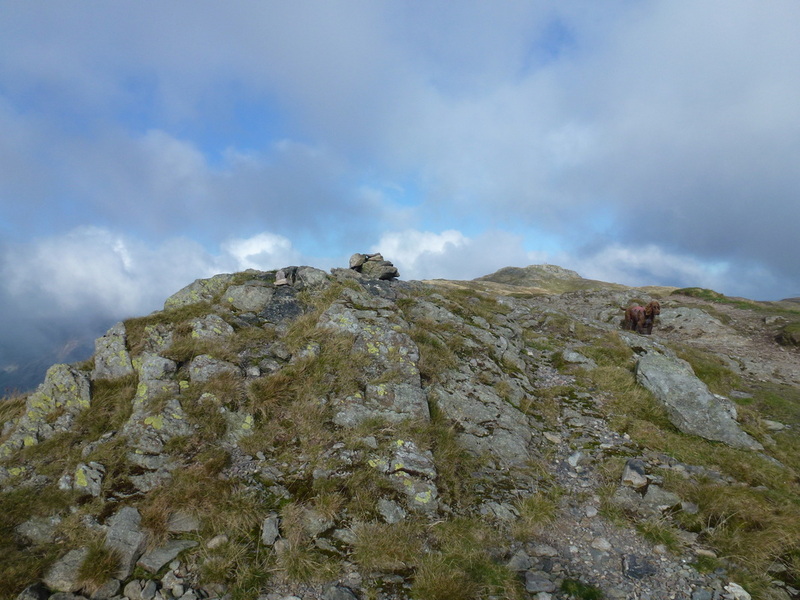 Leaving the summit we headed North East, passing Place Fell Tarn to reach the rocky outcrop of Hart Crag. 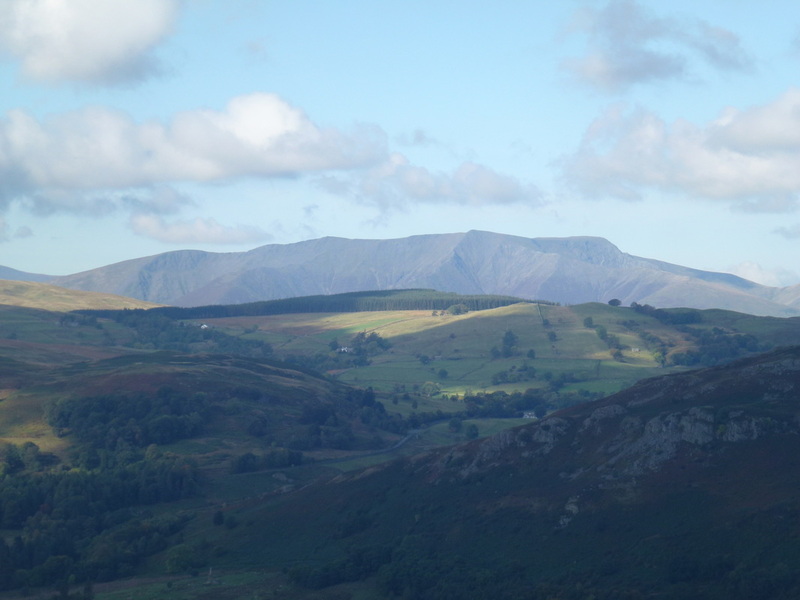 We did think of heading over to the The Knight, Birk Fell & Bleaberry Knott but left them for another day. 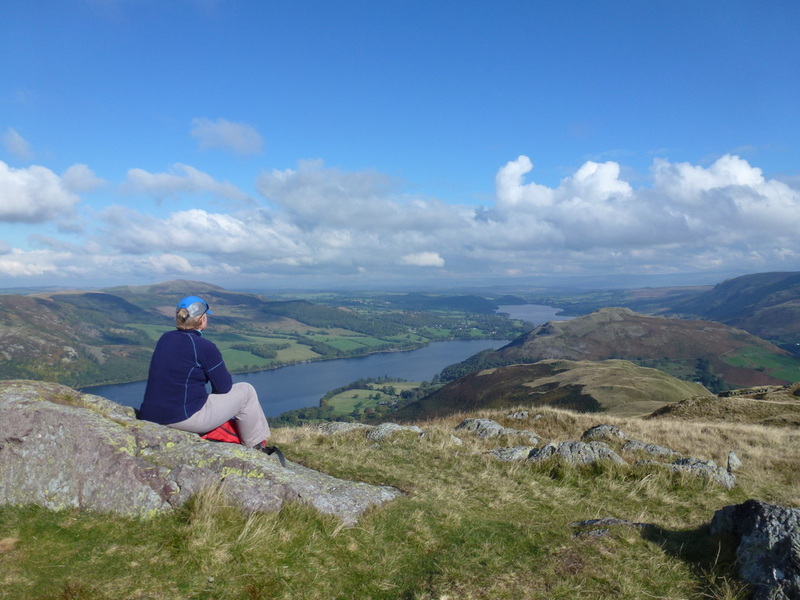 From Hart Crag the route drops into the col of Low Moss where there is an option to take a path to reach the shoreline sooner. 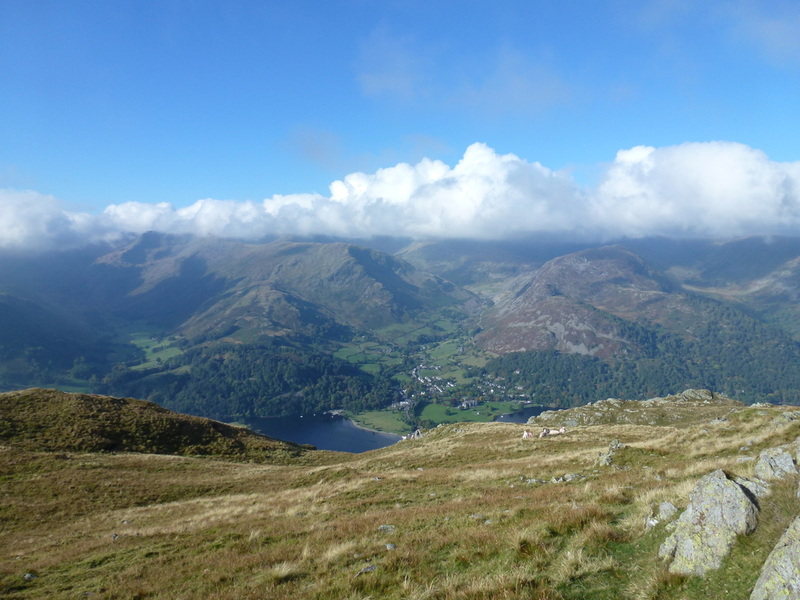 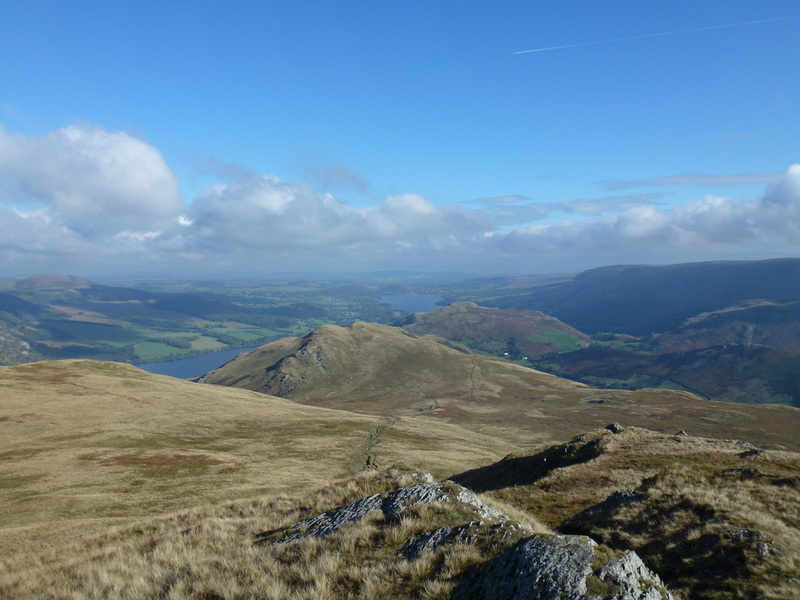 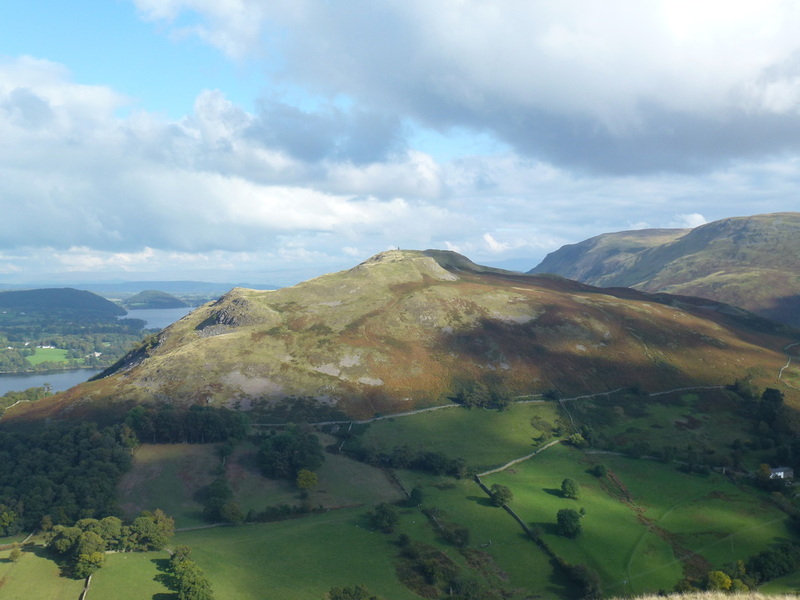 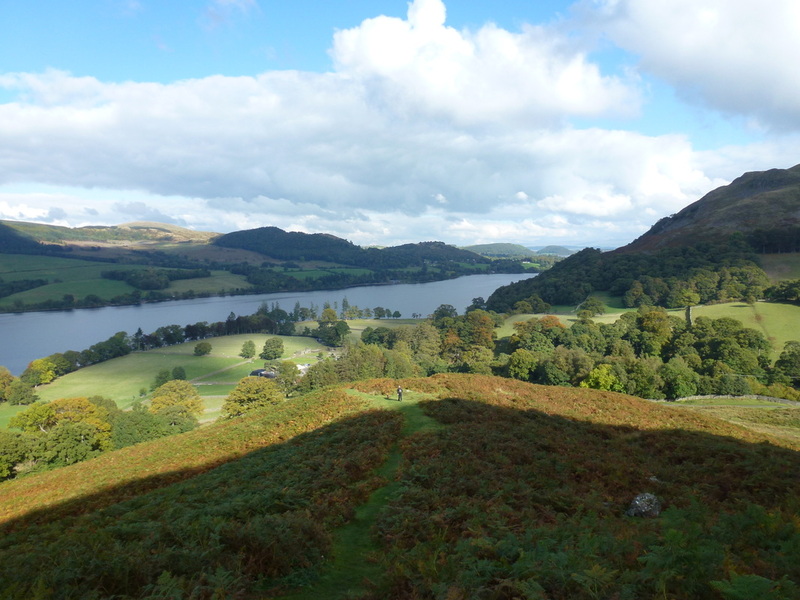 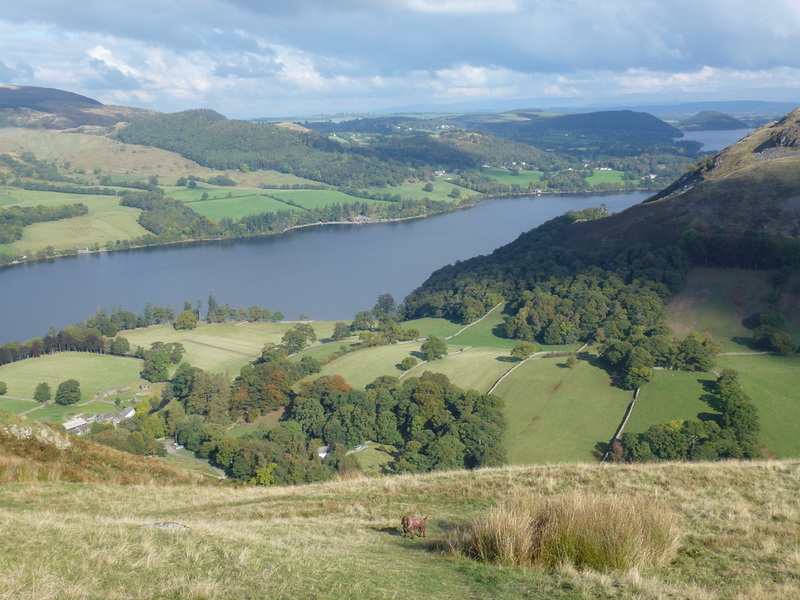 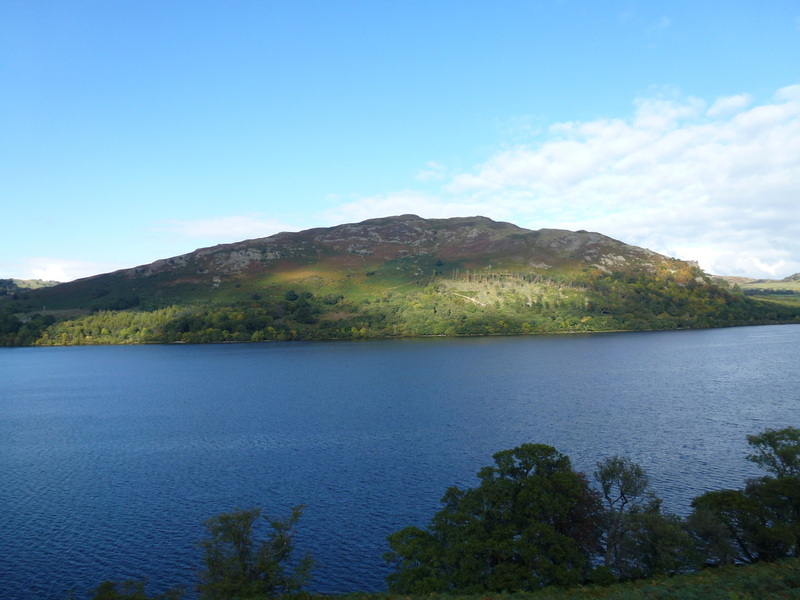 However we decided to carry on along this delightful ridge and took a path heading up to the top of High Dodd which gave us superb views down over Ullswater. 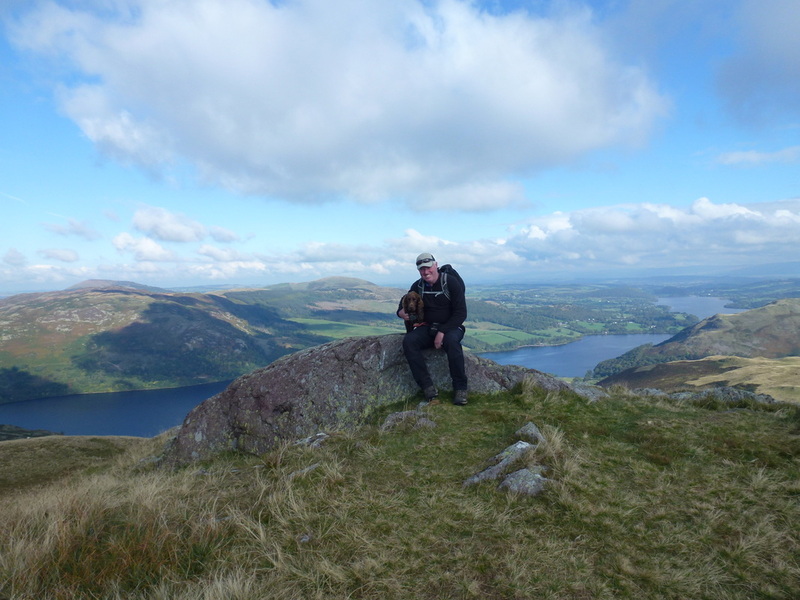 Leaving High Dodd and continuing North East we arrived at Sleet Fell and then made the very steep descent down to the beginning of the shoreline path at Sandwick. 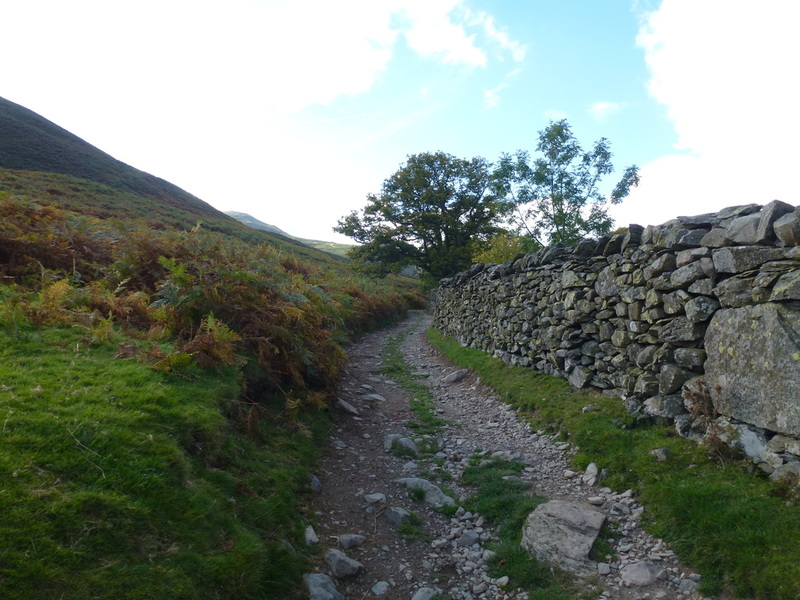 With the hard work now over it was time to enjoy this gently undulating path but not before taking in the delights of Lowther Barn Cafe which was not open when we last did the walk and was a welcome surprise. 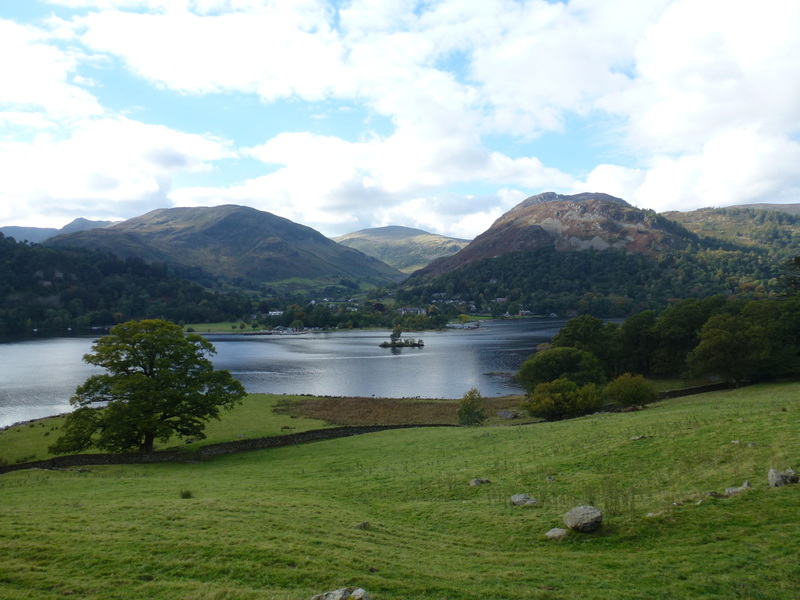 Suitably refreshed we then continued along the shoreline path back to Patterdale which undulates often but gives exceptional views to Ullswater, Gowbarrow Fell and Glenridding. 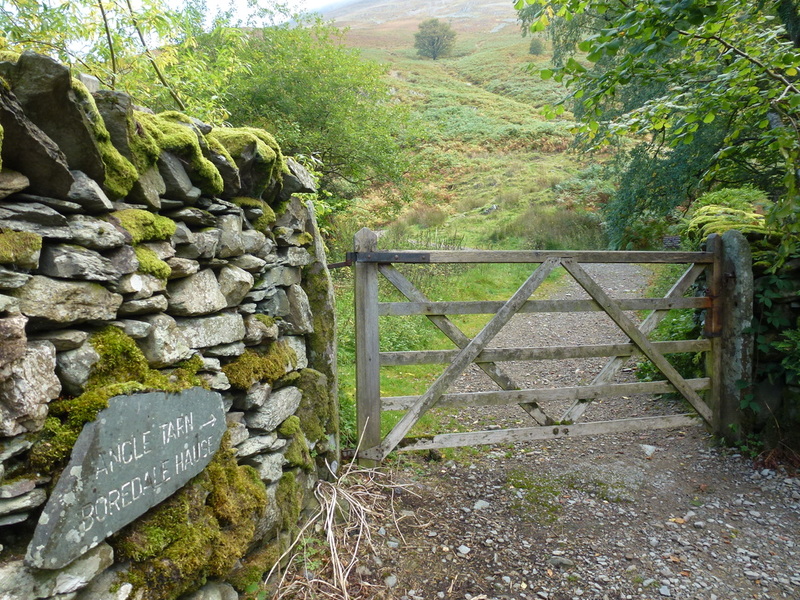 On reaching Side Farm we took the path through the farm buildings to reach the A592 and from here it is a short walk back into the village. 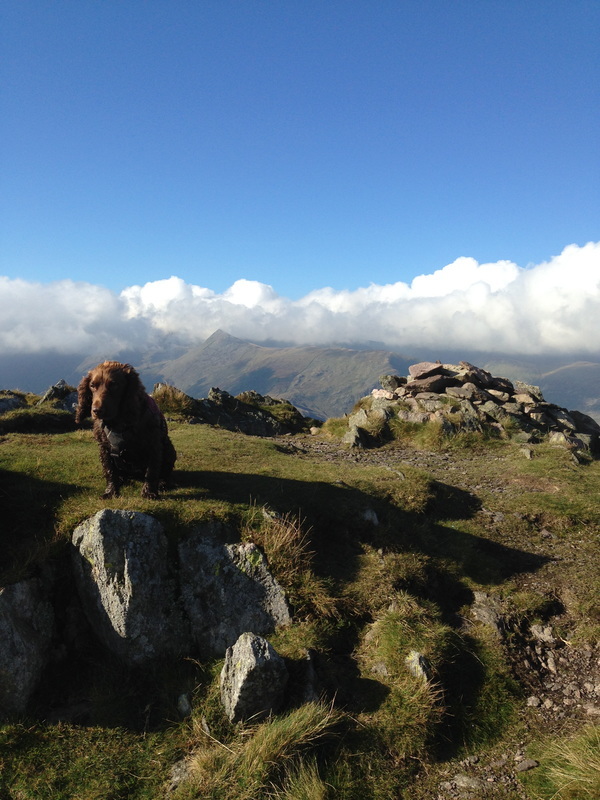 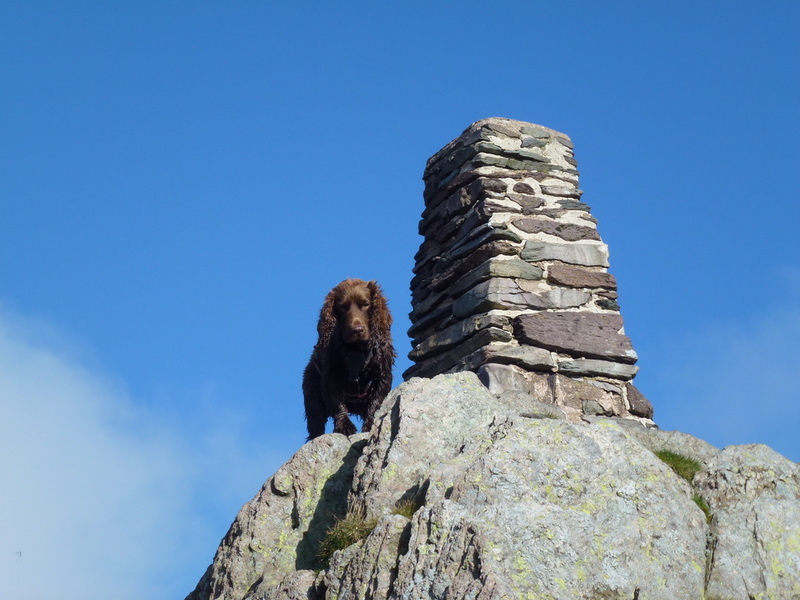 Fudge on the summit of Place Fell having completed all 214 Wainwrights - well done pooch!